The ISM has today (Tuesday 4 December) released its report on the future of music education. Drawing on the responses to our surveys which ran over the summer, the report makes a series of recommendations for both music education in the classroom and any revised National Plan for Music Education. The report reviews the visionary National Plan for Music Education (“The Plan”) launched in 2012 in the run up to its anticipated review by the Department for Education (DfE) in 2019. The report makes a series of recommendations for both music education in the classroom and any revised Plan. The report draws on the responses to two separate ISM surveys which ran over the summer of 2018 and which were answered by over 700 music education practitioners. The ISM is very grateful to the 746 respondents who responded to the two surveys which focused on firstly, primary education and secondly, the National Plan for Music Education and its delivery. The survey results need to be seen in the context of much recent research including from the University of Sussex, the NUT and King’s College London. ‘There is absolutely no question that music teachers in and out of schools are going above and beyond the call of duty to deliver music education in spite of the significant challenges they currently face. 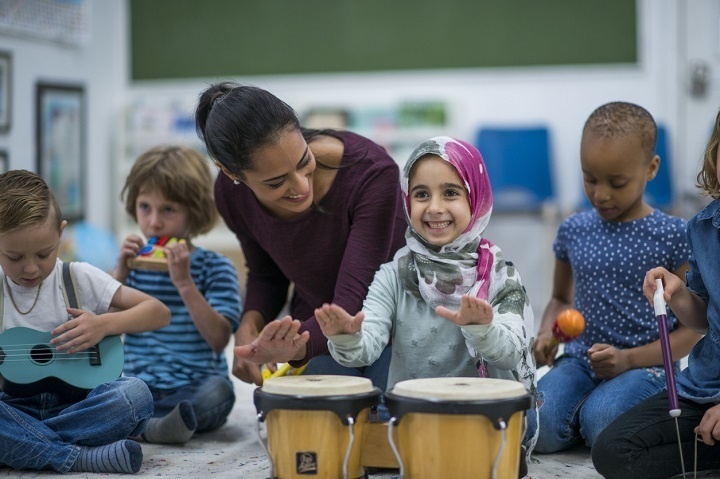 Music teachers in schools, Hubs and community settings up and down the country share the Government’s aspiration for a strong and sustained music education for all. The Government must give clear guidance to all schools, whether they are academies or not, that a broad and balanced curriculum must be delivered and sustained across all schools at all key stages. Music and the Arts are at the heart of a broad and balanced curriculum. Clear guidance must be given to all schools that headline accountability measures must not erode the delivery of a broad and balanced curriculum at Key Stage 3, and make it clear that a narrow curriculum will impact adversely on Ofsted inspections and evaluations. Clarity must be provided as to the roles and responsibilities of schools and Hubs when it comes to the delivery of a music education for all regardless of experience or background. Ensure that all secondary schools have at least one full time music teacher who exclusively teaches music and no other subject. Overhaul metrics for measuring Hub’s achievement and focus on the quality of provision and outcomes rather than levels of activity. Establish a rigorous and transparent framework for inspection of Hub lead organisations and their partners, making them accountable for the quality and accessibility of their work. Maintain or increase the £75m ring-fenced funding for Hubs. Ensure the financial settlements for Hubs are on a three-year basis, to promote stability and a culture of outcomes rather than outputs. Restate the core and extension roles but with the proviso that in the next Plan there is greater flexibility in how the Hubs can deliver WCET to ensure access to musical learning and progression. Address Early Years, SEND and signposting for 18-25 education in the revised National Plan for Music Education. Embed a culture of singing in all schools via classroom teaching. Provide appropriate funding for replacing /repairing musical instruments to support the delivery of the next Plan. Ensure that all teachers are supported to access regular and relevant high-quality subject specific continuing professional development. Ensure that there is a sufficient number of properly qualified teachers coming through to support the delivery of music education in our schools and Hubs. The ISM also calls on the Hubs to work with them to tackle the growing job insecurity of music teachers without proper meaningful contracts of employment.